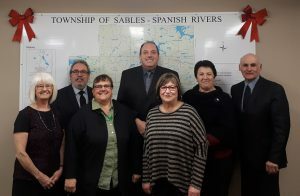 (Updated May 23, 2018) It is the policy of the Corporation of the Township of Sables-Spanish Rivers that citizens with disabilities achieve accessibility in the provision of goods and services by the Township to this community, consistent with the principles of independence, dignity, integration and equality of opportunity as set out in the regulations of the Accessibility for Ontarians With Disabilities Act, 2005. To achieve this Council has adopted the following Multi-Year Accessibility Plan. The Township of Sables-Spanish Rivers Asset Management Plan serves as a strategic, tactical, and financial document, ensuring the management of the municipal infrastructure follows sound asset management practices and principles, while optimizing available resources and establishing desired levels of service. You are invited to view the Asset Management Plan in its entirety. The Township of Sables-Spanish Rivers is committed to a consistent, fair and uniform complaint process and to provide opportunities for feedback about the programs, services, facilities and employees of the Township. The Township recognizes that concerns from the public are at times brought forward and dealt with informally, however not all concerns can be dealt with informally. This policy ensures a consistent and uniform approach to formal complaints with a fair and accountable level of service delivery. The Complaint Policy can be viewed here along with the Complaint Form. The Provincial Government has passed O.Reg 397/11 under the Green Energy Act 2009. This regulation requires certain public agencies, including municipalities, to report on their energy consumption and GHG emission annually, beginning in 2013. The regulation also requires these agencies to develop and implement five-year energy conservation and demand management plans starting in 2014. A copy of the Township’s Energy Plan is available for viewing here. Municipalities have approximately 26,000 electricity accounts. Section 270(1)(7) of the Municipal Act, 2001, SO 2001, c 25 requires the Township of Sables-Spanish Rivers to adopt and maintain a policy setting out the manner in which the Municipality will protect and enhance the tree canopy and natural vegetation in the Municipality. Being in rural or northern Ontario, the Municipality has an abundance of trees and natural vegetation. These resources play a vital role in supporting and sustaining local commercial uses including, but not limited to, pulp and paper, forestry, wood fibre and wood processing. Whether for individuals harvesting firewood or large scale industrial facilities, the Municipality recognizes the need to protect and enhance its trees and natural vegetation while at the same time ensuring they continue to be available for vital economic development.